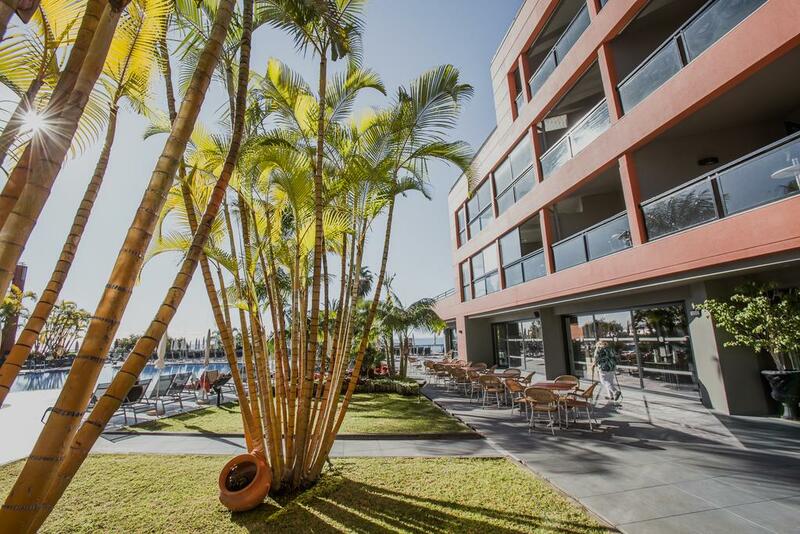 The hotel Enotel Lido Resort Conference and SPA - Madeira is located around 3 km from Funchal City. The nearest beach is around 50 m from the hotel. The nearest shopping facilities are located approx. 1 km from the hotel, a supermarket can be reached after around 150 m. There are restaurants and bars within a very short distance of the hotel. For evening dancing you will find a nightclub in a distance of approx. 2 km. Further entertainment facilities such as a cinema and a theatre are approx. 1 km or approx. 2 km away. For mobility during your holiday, there are a taxi rank (around 10 m away), a bus stop (approx. 100 m away), a nearby car rental company and a motorcycle rental. For medical treatment in emergencies there is a hospital around 2 km away. The airport (FNC) is approx. 25 km away. The hotel and airport are linked by a shuttle (for a fee). Another airport (PXO) is located approx. 58 km away. 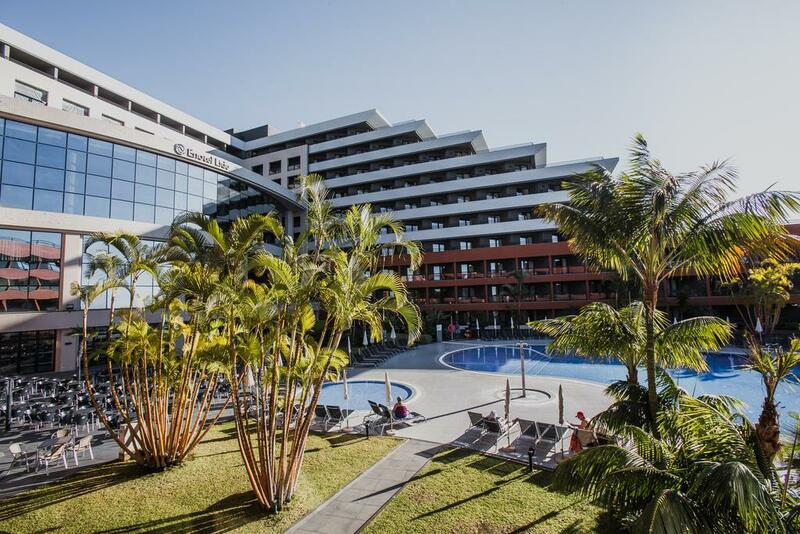 Recently renovated in 2011, the 10-storey 5-star resort consists of a main building and an adjoining building, and has 317 rooms in total. 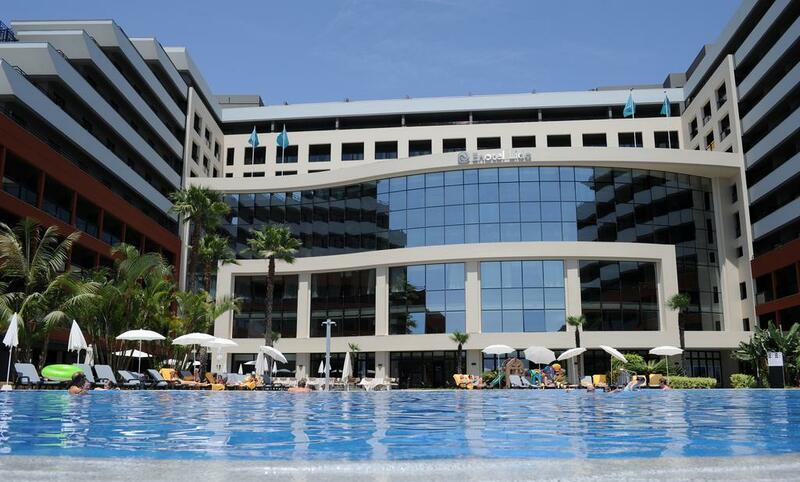 It is equipped with a 24 h reception, a lobby with bar, 4 lifts, an air conditioning, a safe (for free), a coiffeur, a kiosk as well as a parking area (for free). To ensure you don´t go hungry there are 4 restaurants (air-conditioned) and a snack bar. In a total 4 bars, you can relax in the evening in good company. WiFi can be used by hotel guests for a fee. For the user of an Internet corner the hotel charges, where applicable, a fee. Additionally the hotel has 8 conference rooms with a total 710 seats, a secretariat, an internet access, a translation service as well as a catering service. 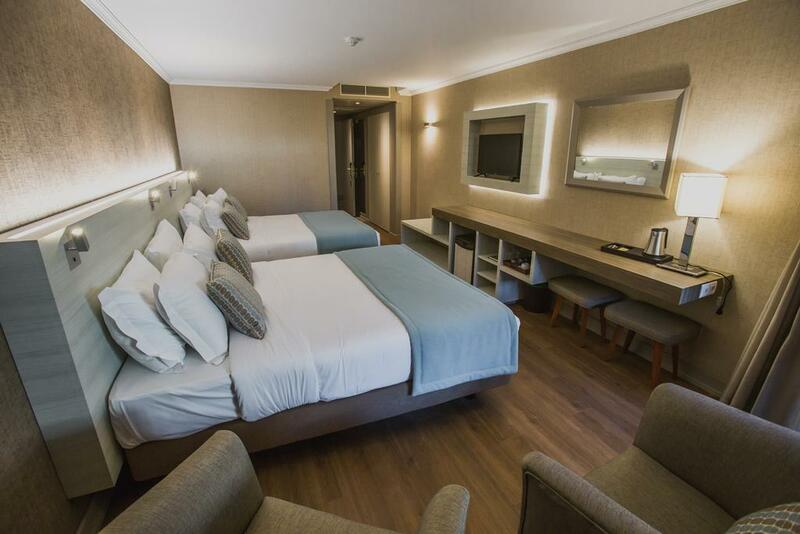 For guests dependent on a wheelchair the accommodation provides a barrier-free access, a wheelchair accessible lift and a number of wheelchair accessible bathrooms. Room cleaning and concierge service are free of charge. Room service, laundry / ironing service and medical service are available for a fee. Guests can be woken in the morning by hotel staff upon request. 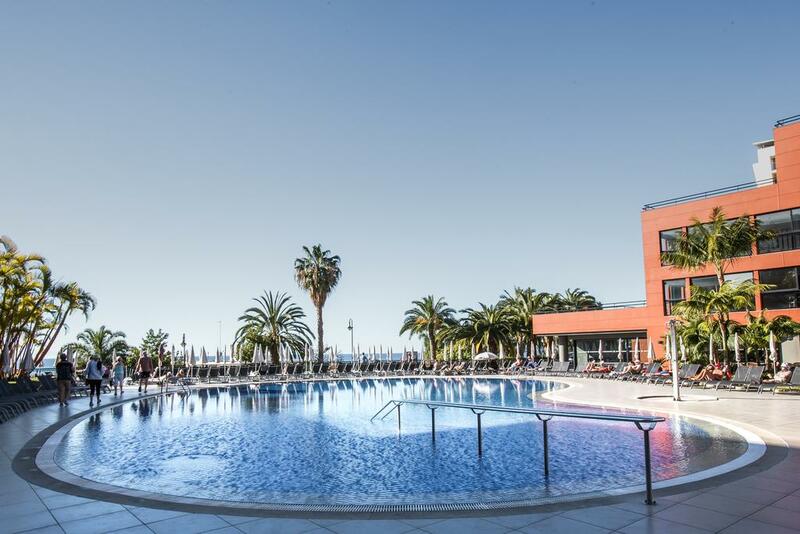 The outside area of the modern hotel includes one fresh water pool with a separate children´s pool. Here, there are sun umbrellas for free available. A bar at the pool offers guests refreshing beverages. Continental breakfast (from 07:30 - 10:30) from the buffet. All inclusive: Coffee & tea and cakes & pastries at certain times. Soft drinks (09:00 - 00:00), small snacks (10:30 - 18:00), beer (09:00 - 00:00), wine (09:00 - 00:00), national alcoholic drinks (09:00 - 00:00), selected imported spirits (09:00 - 00:00 ), late riser’s breakfast (10:30 - 12:00) and midnight snacks (22:00 - 02:30).